School - Where is my eraser? Meant for young learners. Students have to match the words with the pictures and number them. 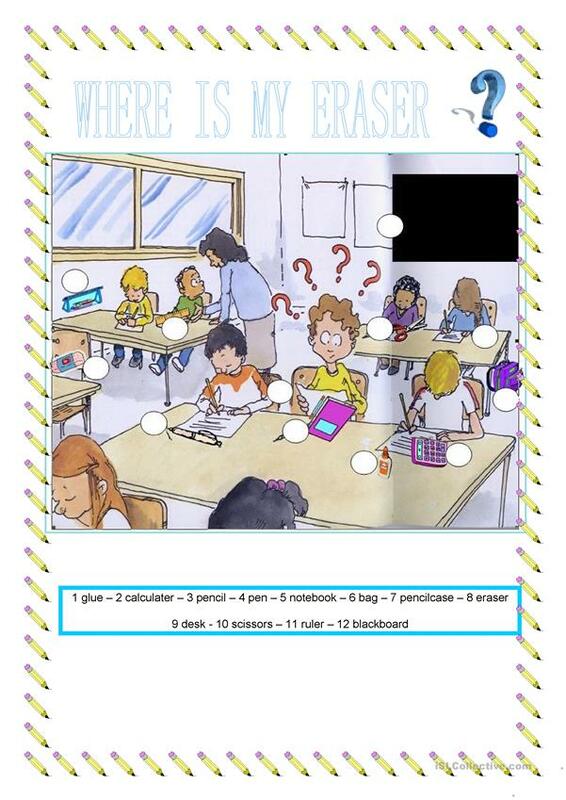 The present downloadable teaching material was created for elementary school students and kindergartners and nursery school students at Beginner (pre-A1) and Elementary (A1) level. It is about the vocabulary topic of School.